Photo courtesy of Broadway Dance Center Children and Teens. As you venture into the new year, it’s an optimal time to step outside of your comfort zone and jeté into a new dance studio or class. 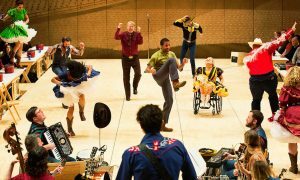 Whether you are visiting from out of town or live here year-round, here are 11 of our favorite places to dance in NYC. All offer drop-in classes of many styles, in every level from beginner through advanced professional. Consider going on your own mini dance tour through the Big Apple this year! Elena Kunikova’s ballet class at Steps on Broadway. Photo by Sofia Negron Photography. Steps is one of those iconic studios. Founded in 1979, the upper west side studio offers hundreds of classes per week and is “home” for some of the biggest dance stars from ballet companies like American Ballet Theatre and New York City Ballet, and hit Broadway shows. Misty Copeland, Irina Dvorovenko and Maxim Beloserkovsky can be seen at the barre regularly, which is a testament to the solid training that Steps’s instructors offer. The studio also hosts week-long Contemporary Masters workshops with various choreographers. And one of the larger studios is often converted into a theater for Performance Labs and various shows. For more information and a class schedule, head to www.stepsnyc.com. Photo courtesy of Peridance Capezio Center. 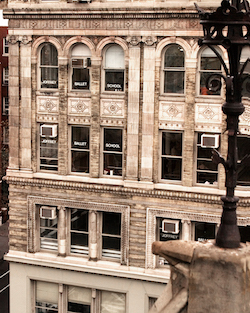 Right outside of the Union Square area sits Peridance Capezio Center, which houses many open classes, the Peridance Contemporary Dance Company, the Salvatore Capezio Theater and The School at Peridance. 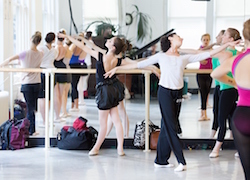 The studio is constantly offering new classes and teachers, along with repertory workshops. Peridance also has a strong Professional Training Program, including an International Student Program. To keep up to date with all of Peridance’s offerings, visit www.peridance.com. 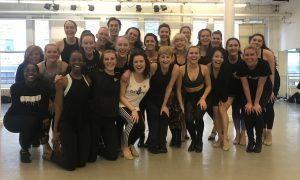 Broadway Dance Center (BDC) is located in the heart of NYC’s Theater District and has been a strong frontrunner on the Manhattan dance studio scene since the early 1980s. 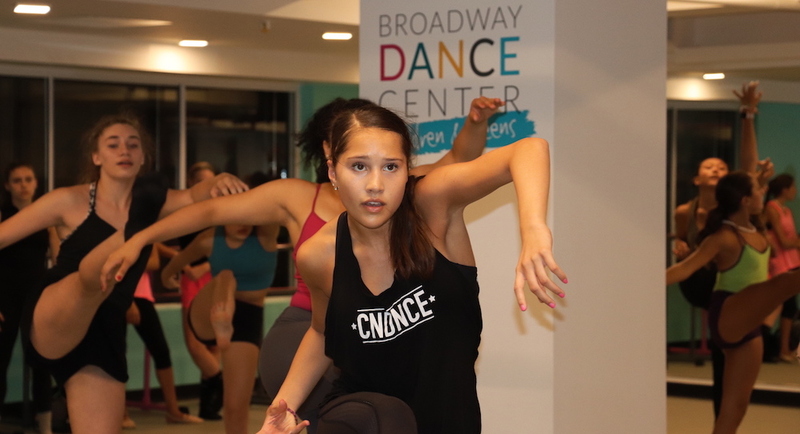 BDC’s schedule ranges from beginner ballet to Broadway jazz, Pilates to Jumps & Turns, and everything in between, including even vocal lessons. Classes are held from 9am-10:30pm, and special workshops are often held on the weekends for out-of-towners and those wishing to delve further into some aspect of their technique or teaching. And 2017 saw the opening of the new BDC Children and Teens location, in Lincoln Center, with classes from ages 6 months to 18 years. Visit www.broadwaydancecenter.com for more information on both studios. Joffrey Ballet School. Photo courtesy of JBS. Looking up from Sixth Avenue in the West Village, you can see the words “Joffrey Ballet School” printed on the studio’s windows, and can feel the history of Robert Joffrey and Gerald Arpino and the company that once found its home in NYC. 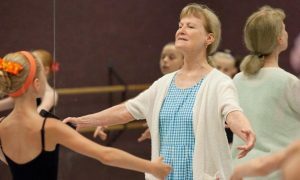 The Joffrey Ballet School continues to be a popular destination for serious ballet students of all ages throughout the year and during its summer program, and it is also home to pre-professional company, The Joffrey Elite, made up of the school’s trainees. But did you know that Joffrey also offers adult open classes? Adult students of all levels are welcome to attend classes in beginner ballet, beginner jazz, beginner pointe, stretch and lengthen, and more. For details and a class schedule, head to www.joffreyballetschool.com. The Joan Weill Center for Dance recently underwent construction, now offering even more beautiful, spacious dance studios overlooking the Manhattan skyline. The building is not only where Alvin Ailey American Dance Theater and Ailey II rehearse, but it is also the facility for The Ailey School and Ailey Extension (for drop-in classes). It’s a great place to study Horton, Dunham and ballet, and to have fun in styles like vogue and Zumba. For a full list of classes and further information, visit www.aileyextension.com. Yuka Kawazu’s ballet class at Ballet Arts. Photo courtesy of Kawazu. Ballet Arts is located in one of the largest dance studios in NYC, at City Center. Classes include ballet, “double barre”, theater dance, voice, Alexander technique and contemporary. Other perks include one of the cheapest class rates in the city ($17 for a single class, $16 for union/professional and even a $14 barre-only option), classes offered even on holidays such as Thanksgiving, Christmas and New Year’s Day, when other studios are often closed, and the welcoming staff at Ballet Arts always leave out snacks for students. Take note that Ballet Arts does not accept credit or debit cards. For studio information, head to balart.com. 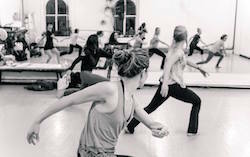 Gibney Dance has two locations downtown, a converted theater space on Chambers Street (also known as 280 Broadway) and several studios available for rehearsal rentals. Plus, Gibney offers ballet classes at both locations and even more at 280 Broadway, including Gaga, modern, ballet for professional contemporary dancers and its Contemporary Forms series with classes led by various choreographers. Recently, Gibney was awarded a $600,000 grant from the Andrew W. Mellon Foundation to expand its Dance in Process residency program, during which 24 artists will be given three weeks of studio space and a stipend. For more information and a class schedule, visit gibneydance.org. Venture a little bit into Brooklyn, and you will find Mark Morris Dance Center, with not only drop-in classes but also a complete Wellness Center for exercise and therapy uses. Open classes include ballet of all levels, modern/contemporary, jazz, hip hop, tap, Gyrokinesis, Feldenkrais and more. The Center also offers choreography workshops, intensives and Mark Morris Dance Group masterclasses. For a full list of classes and events, check out markmorrisdancegroup.org. Photo courtesy of PMT Dance Studio. PMT Dance Studio (named after Founder Pavan M. Thimmaiah) is located on 14th Street, and specializes in breakdancing, with classes starting at the complete beginner level. Other classes include hip hop, Masala Bhangra, Haitian, Dunham and contemporary. A Youth Dance Program is also offered, as well as performance workshops. For further information, visit www.pmthouseofdance.com. Cumbe is the home for African and Diaspora dance and music with its multitude of classes and cultural programs. Classes are offered at RestorationART in Brooklyn, and at Gibney Dance on 280 Broadway. Learn all different African dance forms, sweat in dance and cardio jams, and try out a class in Dancehall. Cumbe welcomes dancers of all levels of experience and also has a program for children starting at age one. 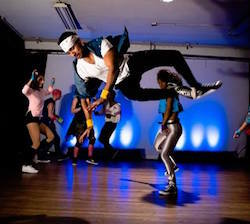 For class schedules and studio offerings, visit cumbedance.org. Liberated Movement. Photo by Eve Reinhardt. What do we love most about Liberated Movement, besides its open level classes that are judgment-free and great for beginners? Classes are donation-based! Classes are held out of Battery Dance Studio in Chinatown, and are a suggested $10 donation. Styles offered include ballet, contemporary, hip hop, contemporary Indian, Latin fusion, and Founder Lauren Pellettieri teaches the signature “Liberated Movement” class, which integrates breath work, dynamic stretching, Qi Gong, cardio dance, free movement and meditation. For more information and a class schedule, visit liberatedmovement.com.